It was chilly this morning at our Forest School session at Tetsworth Outdoor Learning Centre (TOLC). There was a frost overnight and a lot of the puddles had iced over. 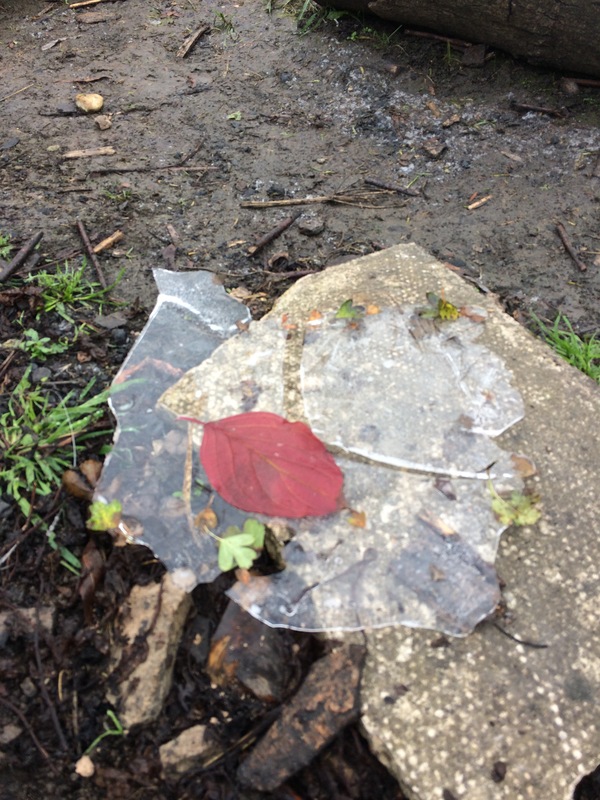 The beautiful autumn leaves floating in the puddles became trapped in the ice, creating decorated slabs of frozen water. 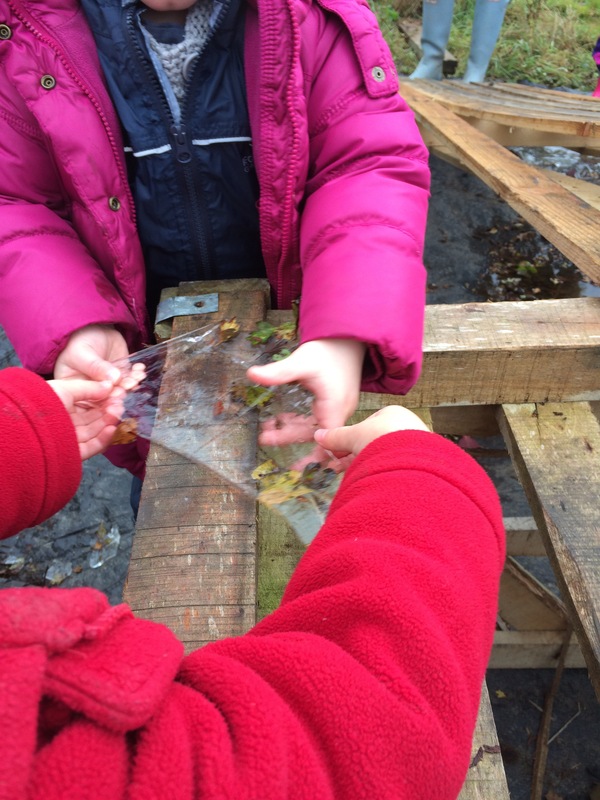 The children loved playing with the ice. They explored the feeling of the ice under their hands and exclaimed at how cold it was. They put some next to the fire and were able to explore the process of melting. They felt how slippery it was and then stepped on it to crack it into pieces. A fantastic way to begin to explore the science of ice and water and to become aware of our changing seasons.